Visitors walk into a mirrowed pyramid. 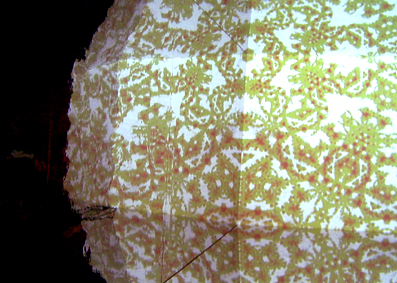 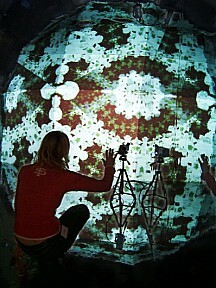 A camera grabs their images, image processing is creating ornamental patterns and fractals. 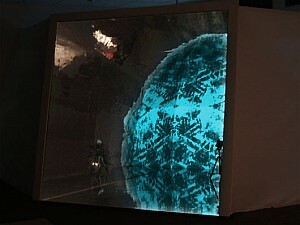 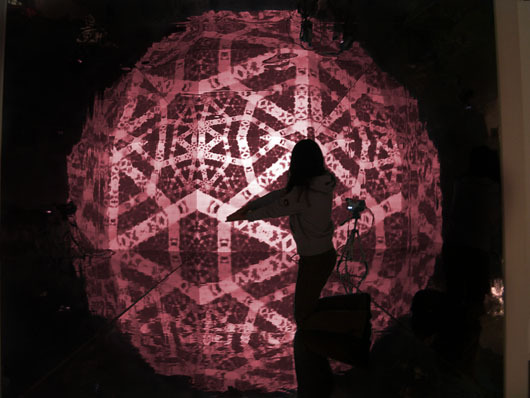 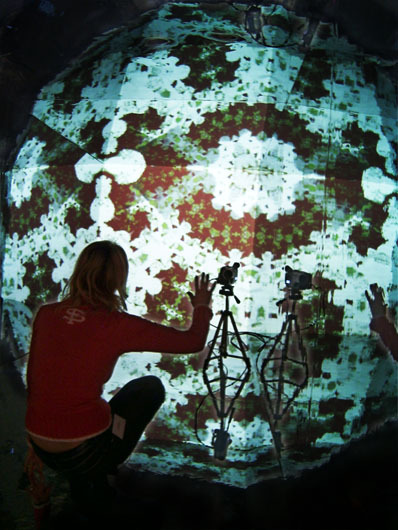 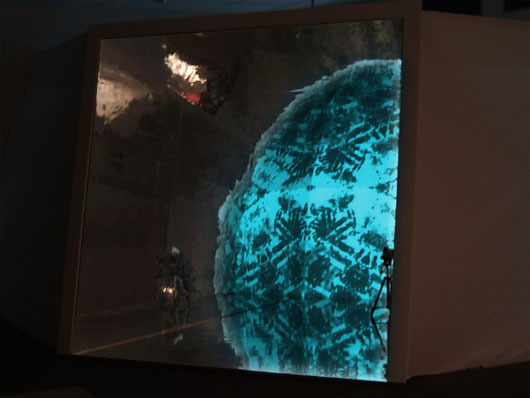 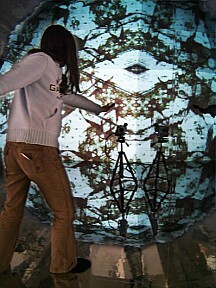 The video projection is reflected, creates a virtual sphere.